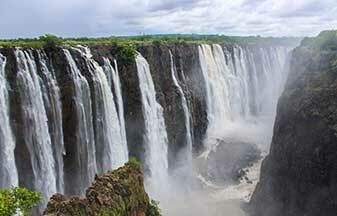 A complete range of Activities, Attractions, Transfers, Accommodation and a Café in Victoria Falls. 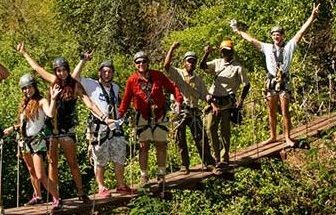 We are the lead provider of adventure activities such as white water rafting and gorge swings. 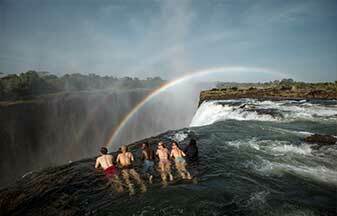 We are the lead provider of tours and adventure activities in and around Victoria Falls. Wild Horizons manages four unique lodges. 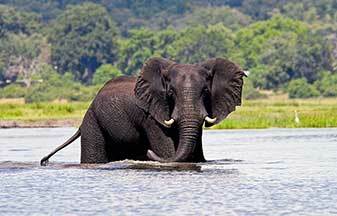 The Elephant Camp, The Elephant Camp West, Imbabala Zambezi Safari Lodge and Old Drift Lodge. 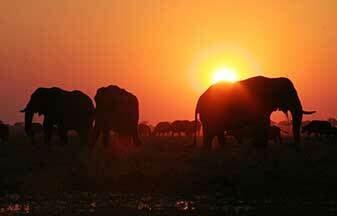 Wild Horizons also owns and manages The Lookout Café in Victoria Falls. Nestled on a ridge between the Masuwe River and the Zambezi gorges, giving guests an uninterrupted view of the breath-taking spray that swells above the Victoria Falls rain-forest. The Elephant Camp West has been specifically designed to meet the needs of smaller groups and families looking for a more intimate and exclusive safari experience. The four luxury tented suites all have a dramatic view of the archetypal African landscape and the impressive cloud of mist that sits on top of the horizon above the Victoria Falls rainforest. 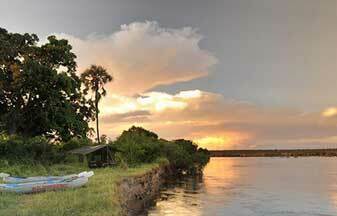 Imbabala Zambezi Safari Lodge is not wheelchair accessible but can work for those with limited mobility. We are able to assist guest with boarding vehicles and boats for activities- there are small numbers of steps throughout the property and rooms and uneven ground. The bathrooms are not specifically built for the disabled but a wheelchair can fit in the shower and toilet. Fresh, tasty daytime dining and a spectacular view. 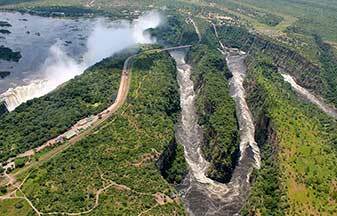 Perched 120m above the turbulent rapids of the Zambezi River, overhanging a giant chasm of the Batoka Gorge, just down from the iconic Victoria Falls Bridge which forms part of it’s spectacular backdrop. The semi open‐air café, apart from offering undoubtedly the best view in Victoria Falls, offers a range of refreshing beverages as well as a lively cocktail menu. The Lookout Café is wheelchair accessible. However the bathroom facilities are not. 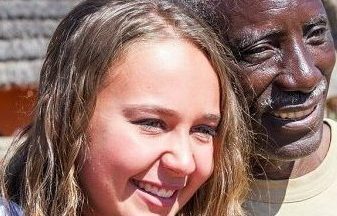 We offer transfers throughout the Victoria Falls area, for guests from a single person to large corporate & incentive groups. 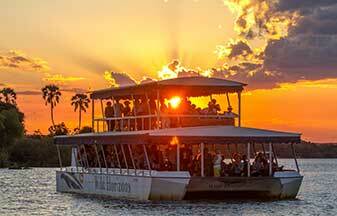 Wild Horizons is the top adventure tour operator in Victoria Falls, dedicated to showcasing the many attractions on offer in this extraordinary part of the world. 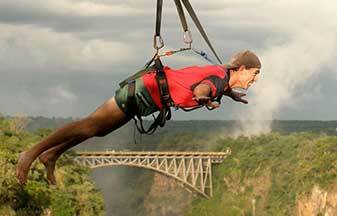 We are the lead provider of adventure activities such as white water rafting and gorge swings.